Raheem Sterling highlighted his "incredible" development at Manchester City after signing a contract extension with the Premier League champions on Friday. England forward Sterling has penned new terms running until the end of the 2022-23 season, after demonstrating continued improvement since joining City from Liverpool in 2015. In each of his three full seasons at the Etihad Stadium, Sterling has proven ever more prolific in terms of goal involvements. We look at his increasingly valuable contribution to City's cause. Sterling managed nine goals before Christmas in his first campaign with City, but added just two further strikes in the remainder of the season as the club's domestic form tailed off in the final months of Manuel Pellegrini's tenure. Nevertheless, the youngster finished 2015-16 with 21 goal involvements and a League Cup winners' medal. Although Sterling managed one fewer goal in Pep Guardiola's first season in charge, he more than doubled his assist tally under the former Barcelona and Bayern Munich boss. 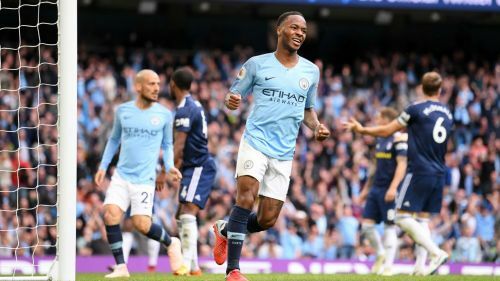 Repeatedly praised by the Catalan at the start of a campaign that followed England's embarrassing early exit from Euro 2016, a rejuvenated Sterling became ever more integral as City adapted to Guardiola's demands. City went on to dominate the 2017-18 Premier League and Sterling's increased productivity was central to their success. The winger developed a happy knack of scoring late winners - most notably managing three in the space of nine days against Feyenoord, Huddersfield Town and Southampton - and finished a hugely successful season with 23 goals, comfortably a personal best. In addition, Sterling added 17 assists, meaning he was involved in 40 goals from 46 appearances. After roughly a third of the current season, Sterling is on track to better the figures of last term. He is averaging one goal involvement per game in 2018-19 after 14 outings and also broke a lengthy scoring drought for England by finding the net twice in a 3-2 friendly win over Spain.